1. Hug like you mean it. 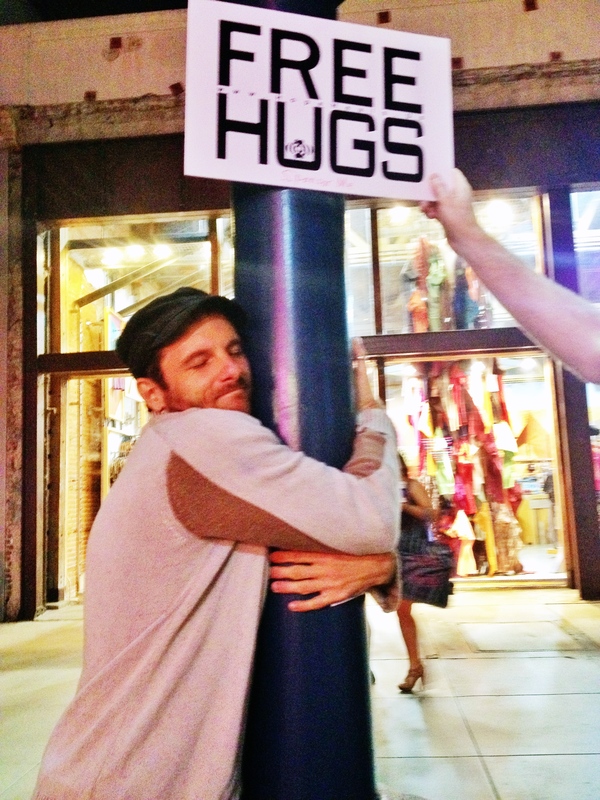 Hugging some people is like embracing a telephone pole. Now, I can literally hug the hell out of a telephone pole – I’ve done it (pic below) – but a truly great hug is definitely a two-person co-created gig. However, some people just aren’t ready for a truly great hug, for whatever reason. They might not be comfortable with affection, might be in a rush, or they simply might not trust you, regardless whether they have good reason. A great hug can quickly turn creepy hug when you feel your partner initiate the disconnect but you won’t let go. So hug like you mean it, but if you feel your partner moves to let go, then let go and live to hug another day. However, if you suddenly find yourself in an embrace with truly great hug potential – or if you’re uncomfortable hugging others and would like to experience a truly great hug – read on. 2. Be willing to be vulnerable. Open your arms. Once the embrace has begun, rather than immediately unplug the hug before an authentic embrace has even happened, simply take a deep breath. Allow yourself at least one deep breath before you even think about releasing. You might find both bodies spontaneously synchronize to each other’s breathing. Breathing in harmony with another body pressed against yours is a wondrous experience. So often, we quickly disconnect our hugs because we’re afraid of holding the other beyond their comfort zone. But you’ll be amazed how many people in our world are completely starving for affection. We don’t lovingly touch each other enough. We’re literally dying to be touched. That longer, deeper embrace you’re willing to share just might be medicine to the person you’re embracing. 5. Lean into the embrace. I’m not a fan of the “tent hug,” that hug where we create a tent by sticking our butts out so far because we’re afraid our genitalia might touch. Look, we’re creating a non-sexual hug here, but it’s ok that our bodies touch. In fact, the most delicious, satisfying hugs are those where two bodies really meet each other, our chakras all lined up and zapping each other with good vibes. Unfortunately, because we live in a culture so sexually screwed up (so to speak), a truly great hug does risk jiggling repressed sexual hot buttons we don’t want jiggled. So find the balance here. There’s little less satisfying than hugging someone so afraid of hugging me back that I can feel them exiting before we’ve even begun. But there’s also little more icky than hugging someone I’m not attracted to who starts writhing in my arms and pressing her pubis up against my groin (it’s happened). Just find the balance. 6. Squeeze, but don’t suffocate. 7. Just BE with the person you’re embracing. A truly great hug is a deeply mindful practice. It’s a moment to really be with another human. The very gesture itself is a curious, even if ultimately futile, attempt by two bodies to occupy the same space at the same time. We’re literally pressing our bodies together as if to say, let’s just both be here together, as one body, in this one place, at this very moment in time. It’s an extraordinary gesture. 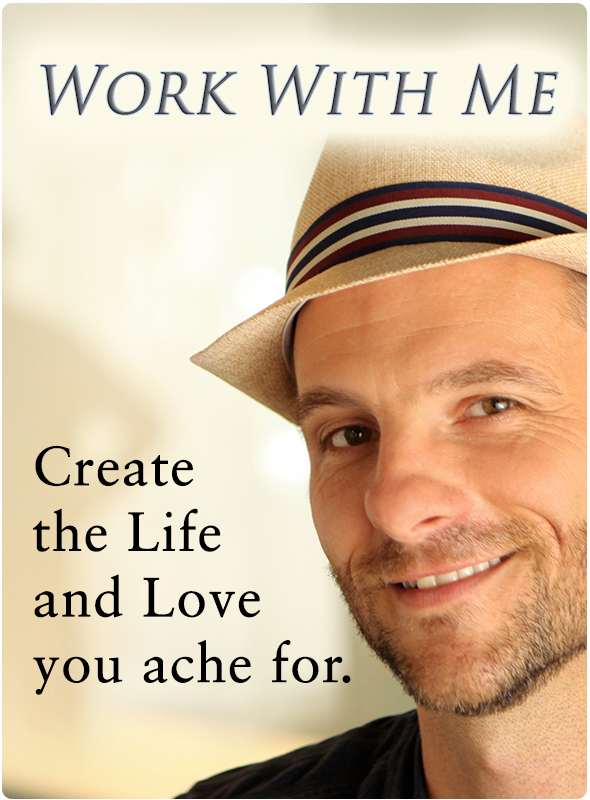 Give yourself to the experience and really be here, in this brief moment, with this one person. Drink in the scent of their hair, notice the pressure of their body pressing against yours, notice all the thoughts that arise in your mind, and then simply let them pass. Be here now. 8. Let go. Smile. Breathe. Now get out there and hug somebody like you mean it! Lives may very well depend on it … and Love definitely does! p.s. No one to hug? Just wrap your arms around yourself and give it to you. Yeah I know it’s better with another human being. It just is, let’s not kid ourselves. Still, hugging yourself, if nothing else, is a great way to stretch your shoulders! Whatever you do … have fun doing it!! That pole was seriously asking for it!!! This is awesome. Great breakdown! I. love. hugs. I don’t even know where to begin. This is packed with so much wisdom and emotional intelligence. Oh, and science too. Bryan, you are love rolle in a hug rolled in chocolate…with frozen grapes on the side. I forgot how to hug for THREE YEARS recently. Rediscovering the power of a hug has been completely transformative for me. I’m excited for my next hug and will keep the spirit of these tips in my heart until then.